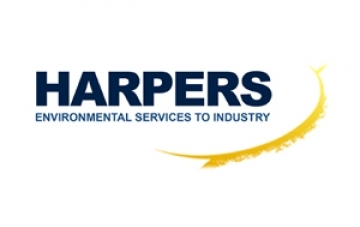 Harpers has undertaken industrial services and waste management across the UK for over 65 years and are regarded as the leading experts across the waste management industry with a highly regarded reputation that reflects the quality work the Harpers Team undertake for many high profile UK clients. With a keen eye for detail and constant innovative drive, Harpers has saved customers’ money year on year while protecting reputations by operating safely and effectively. With patent pending processes and innovative online technology Harpers continues to lead its market. As an expert in sourcing talent for the waste management sector, Harpers was aware of Newman Stewart, and approached us looking for a new Managing Director to lead the business through the next stage of growth. With ultimate responsibility for the company's performance, the Managing Director would be expected to proactively grow the business whilst leveraging the existing customer base. This would include delivering the commercial and operational strategy and implementing it accordingly. In addition, the successful candidate would need the capability to build and develop a high performing team of people, successfully tender and win large contracts to be delivered in a cost effective, safe and profitable manner and have responsibility for building the business, whilst leveraging the immense capability of the existing organisation. Due to the nature of the industry, this was a particularly complex and confidential search and as such, we were not able to openly advertise the role. Instead we used our extensive network of waste management professionals to find and attract people with the right experience and credentials. Working with the client, it was clear that our search needed to be thorough to ensure a good culture fit with the business. Harpers had seen a succession of Managing Directors, and needed someone with longevity who could work well with, and take the pressure off the Chairman, who they would report into. Five candidates were taken forward to interview with the client after extensive screening by Newman Stewart, including psychometric tests to assess personality traits as well as other key attributes and skillsets. After agreeing the preferred candidate, Newman Stewart continued to work with both parties to ensure a successful close and onboarding process, including salary and package negotiations. We were delighted when the chosen candidate accepted the position and with the outcome all round.